2/21/2012 – Why do we keep doing it? Every time we celebrate a player for extraordinary results, in the middle of an event, that player will immediately come crashing down to earth. 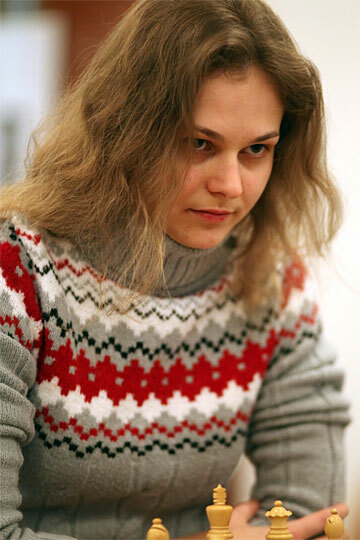 This time the victim of our jinxed reporting was Anna Muzychuk. Meanwhile Pia Cramling and Kateryna Lahno forged ahead with 2.0/3 points. Decision time is Tuesday – you can watch the final games on Playchess. 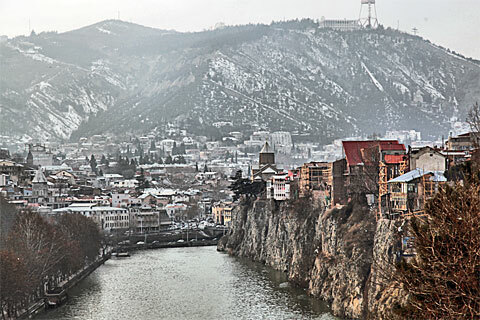 The ACP Womens Cup Rapid is taking place in Tbilisi, Georgia, from February 17th to 21st February, 2012. 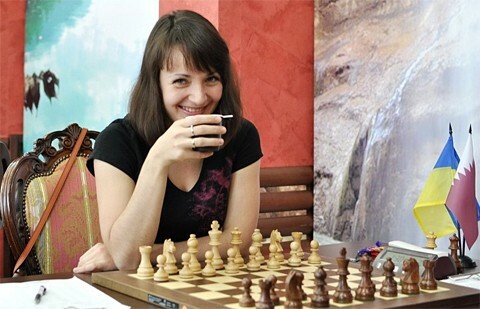 Top seeds are Anna Muzychuk (2580), Kateryna Lahno (2557) and Nadezhda (2537) and Tatiana Kosintseva (2513), Nana Dzagnidze (2535) and former women's world champion Maia Chiburdanidze (2500). The event is a twelve player all-play-all. The official website and Playchess are providing live broadcast of the games, the former has in addition streaming video, interviews and live commentary by Mark Dvoretsky. The event carries a prize fund of US $40,000, of which $10,000 goes to the winner. 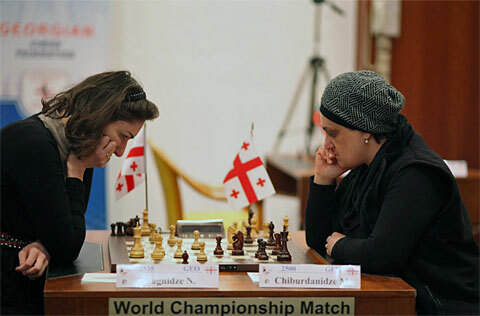 It is sponsored by SOCAR Energy Georgia, and organised by the Association of Chess Professionals (ACP) and the Georgian Chess Federation. 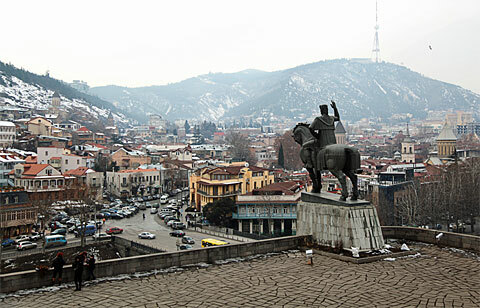 A bronze monument to Vakhtang Gorgasali, a Georgian king, founder of Tbilisi. He is proudly sitting on his horse and saluting the capital of Georgia. 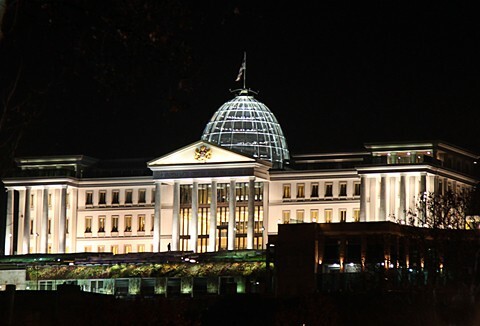 (= US $8 million), which according to President Saakashvili is about 0.18% of the entire state expenditures. This time the victim of our jinxed reporting is Anna Muzychuk, who was sailing along nicely at the top of the table, with 4.5/5 points and a 2861 performance, as we duly reported after round five. In the next three rounds on Monday the Slovenian GM scored just one draw and moved to place four on the table, a full point behind the leaders. Can you forgive us, Anna? Was it the baby photo that caused the crash? You are right to be upset with us, Anna! Abject apologies. The two new leaders, who each scored 2.0/3 on day three of the Women's Rapid, were GM Pia Cramling of Sweden and Ukrainian GM Kateryna Lahno. 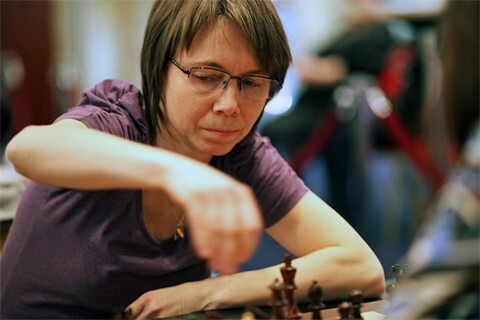 Pia is something of a chess legend, having been one of the strongest female players in the world since the early 1980s and regularly plays on the Swedish (Men's) team at Olympiads. She is married to the Spanish grandmaster Juan Manuel Bellon Lopez, and has lived in Spain for a number of years.